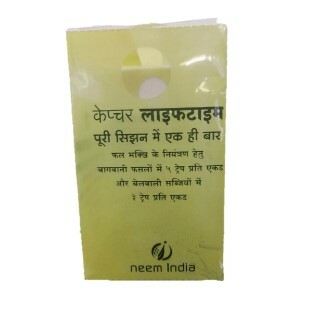 Trap – Neem India Pvt. 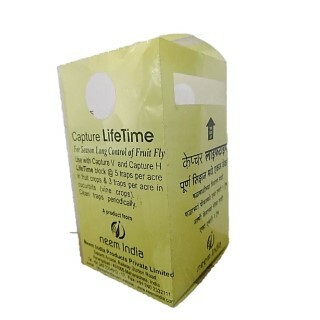 Ltd.
Pheromone trap is to disrupt the mating of insects and decrease its population. The blocks contains the pheromone of the particular species of female insects. Males of that species gets attracted towards the smell of the pheromone and hence enters the traps through the holes and ultimately dies inside it. By this, the male population decreases considerably and therefore the infestation of insects pests decreases.